British eggs are the best all-round food source for a healthy pregnancy. Not least because they can slash the likelihood of premature birth, low birth weight and maternal depression. That's according to new research, which pulled together the findings of 18 different studies looking at child-bearing and consumption of hens’ eggs. The new report, published in Network Health Digest, comes just two years after the government officially changed their advice for pregnant women. 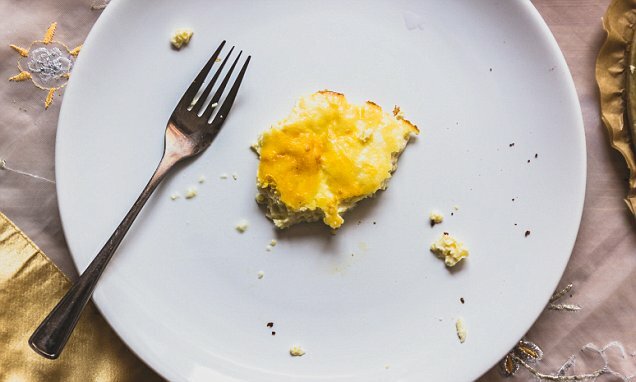 Author and dietitian, Cordelia Woodward, who co-conducted the analysis, said: 'Eggs are a neat package of protein, highly bio-available nutrients, and one of the few natural sources of vitamin D which is vital during pregnancy. 'Eggs also contain small amounts of long-chain fatty acids (typically found in marine foods) which have been linked with increased infant birth weight, reduced risk of preterm birth and reduced maternal depression. 'The iron in eggs plays an important role during pregnancy as this is a time when women’s blood iron levels can fall, leading to tiredness and fatigue. 'Iron supplements can be prescribed but may cause constipation. A daily meal which includes eggs is a natural way to boost iron in the diet'. The report concluded that the rich nutritional composition of eggs means that they can supply most of the key nutrients required during pregnancy, such as iron, iodine, vitamin B12, vitamin D, folate and choline. It also found that just one egg contains more than 100 per cent of the vitamin B12 requirement during pregnancy. Vitamin B12 helps maintain healthy nerve cells and red blood cells, as well as being involved in DNA synthesis (DNA is the genetic material for all cells, including those of the growing foetus).